Department of Zoology possesses and maintains rich scientific and educational collections of vertebrates and invertebrates. 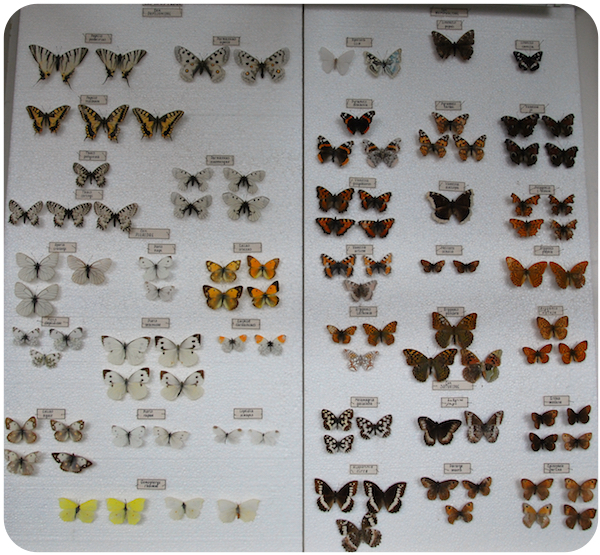 The entomological research collections keep rare species and typus material of newly-identified species. Materials from the collection have been deposited in the National Museum of Natural History in Sofia and in other world famous museums (Museum d’histoire naturelle – Geneva, The Natural History Museum – London, Hungarian Natural History Museum – Budapest, Naturhistorisches Museum – Vienna). Rich craniological and skeletal material is stored in the scientific teratology collection. The study collections were established in the very beginning of the founding of the department in 1963 and they have been maintained and constantly enriched by the department staff. Unique specimens from the beginning of the 20th century can be seen, and they were received from the French College in Plovdiv. Prof. B. Gruev, Assoc. Prof. V. Tomov and Assoc. 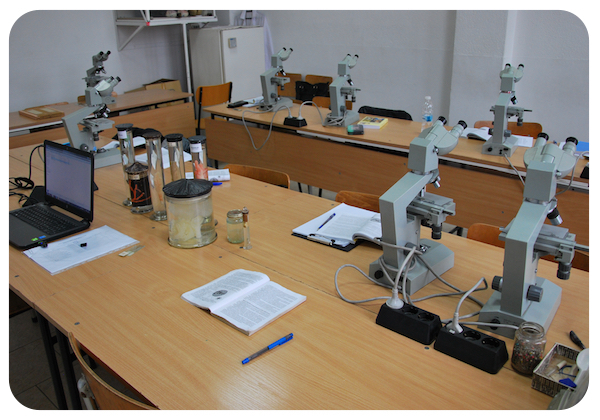 Prof. A. Donev have founded the educational entomological collection, which represents many species of the Bulgarian entomofauna. The ornithological collection, created by Assoc. Prof. A. Darakchiev, contains common Bulgarian bird species. The members of Zoology Depart­ment work for scientific tendencies and themes of research that are generally related to systematics, taxonomy, faunistic and biology of invertebrates and vertebrates. For the last 50 years, as result of our investigations on insect families of Hymenoptera, Diptera and Coleoptera Orders, over 200 new species have been described. Significant contributions in zoogeography, host-parasitoid relation-ships and natural enemies of plant pests are published. 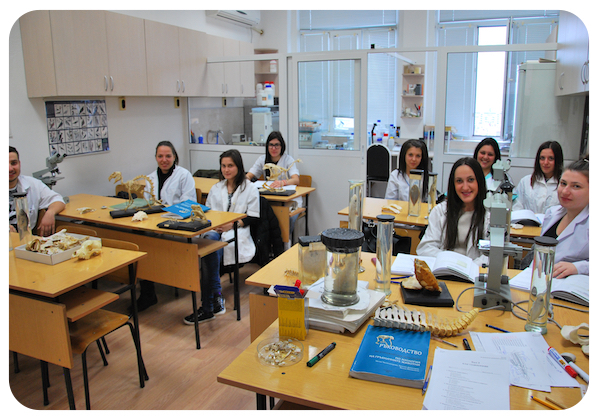 Studies on faunistic, taxonomy, morphology and cytogenetical mutability of small mammals, based on craniometrical, cytogenetical and biochemical-genetic methods are also accomplished in the Department of Zoology. Investigations on transmissive infections with relevance to human pathology and animal vectors – ticks, mosquitoes, fleas and rodents are in progress. 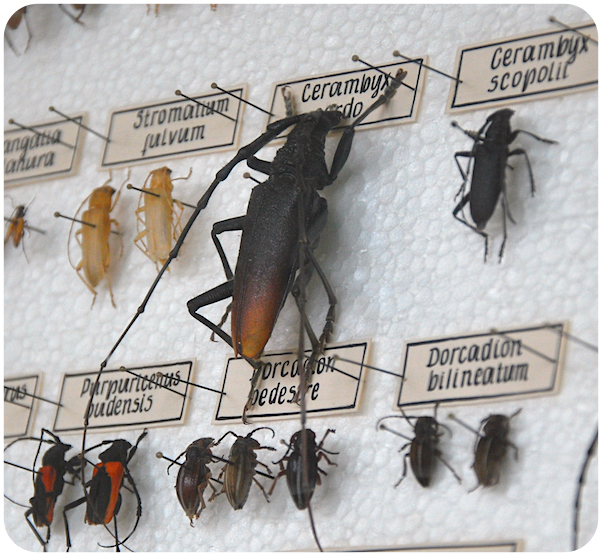 The research group focused its activity on biodiversity, systematics, taxonomy, morphology, biology, ecology and zoogeography of insects from different families of the Orders Hymenoptera, Diptera and Coleoptera. Studies on phytophagous hymenoptera and their associations with host-plants, host-parasitoid relationships and natural enemies of economically important plant pests in order to assess the potential of some species as bio-agents in Integrated Pest control are other research themes. The group has accomplished studies connected with species diversity, taxonomy, morphology and cytogene­tical mutability of small mammals in Bulgaria on the basis of craniometrical, cytogene­tical, biochemical and genetic methods as well as clarification of the taxonomic status of some species. The group focuses on environmental pollution investigations on terrestrial ecosystems in situ, based on free-living small mammals. The group uses mainly two methods to estimate the genetic risk induced by environmental pollution in industrial areas and in natural protected areas: Micronucleus test, for detection of genotoxic agents and species at higher risk, and Comet assay, which is sensitive in detecting DNA double- and single-strand breaks, alkali-labile damage, and excision repair sites in individual cells. The research in the transmissive infections and animal vectors group is directed towards investigations on rodents as a reservoir of infections caused by bacteria, rickettsiae, viruses, with relevance to human pathology. Geographical distribution of natural focal infections in rodents in Bulgaria; ecological and epidemiological investigations; studies on ticks, mosquitoes, sandflies and fleas as vectors in transmission of infection from rodents to humans are other research themes of the group. Small mammals in Bulgaria: conservation status, taxonomical statement, morphology, cytogenetical mutability, model organisms for estimating environmental pollution effects on terrestrial ecosystems, reservoir of transmissive infections with relevance to human pathology.